Contact Cement bonds as soon as the two surfaces to be joined come in contact with each other. Temperature Range: Extremely flammable. Keep away from heat, sparks and open flame. 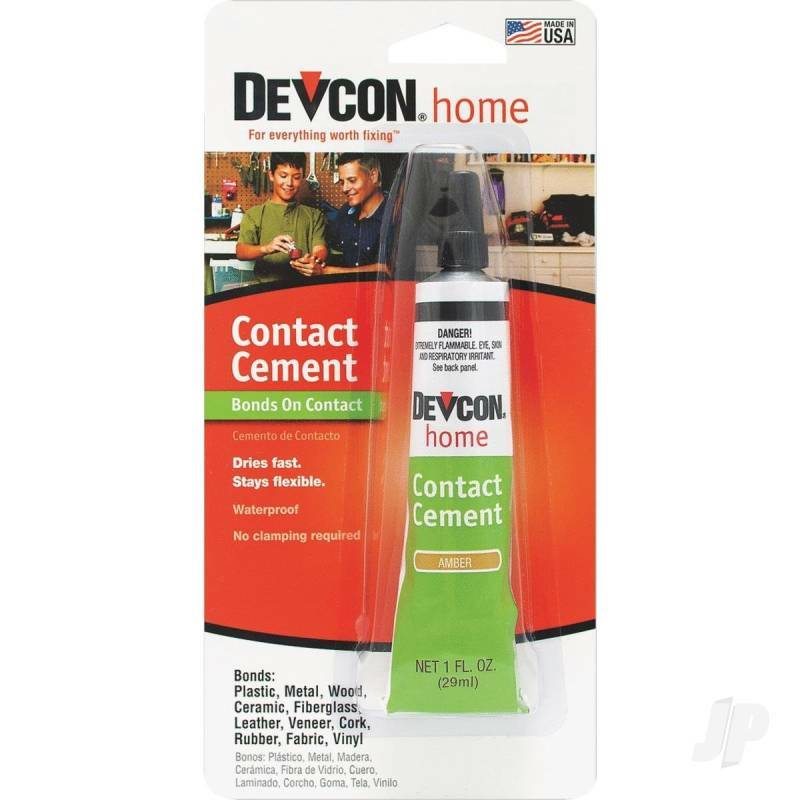 Contact Cement bonds as soon as the two surfaces to be joined come in contact with each other. Makes a tough, permanent bond. Waterproof. Repair kitchen countertops, laminates, trims and moldings, leather, carpet and more.